It’s here… the most powerful store locator on the web is now even better with integrated event marketing! 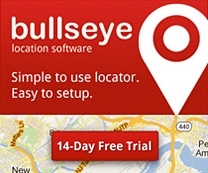 Bullseye has been busy working on improvements to our Event Locator Services and we are excited to introduce the next phase of our events platform. 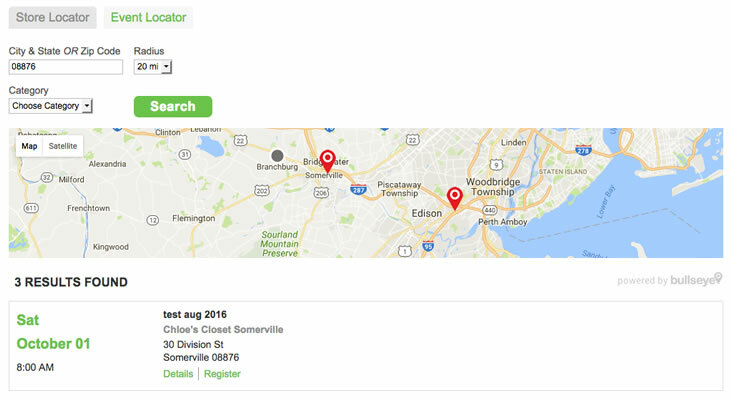 Now you can use your store locator for event marketing. Here’s what you can look for with these system updates. Not only can you display events within the store locator search results, you can now add an event search tab to your interface. Allowing users to search for events near them. Event results are linked to the SEO optimized event detail page. Learn more about how to add the Event Search tab here. Clients who are using our expanded events system, can now use our built in registration features to allow visitors to signup for events. Using our form builder, you can create custom event registration forms which are integrated directly into event search and event listings. Along with the integrated event locator and event registration, you will also find these Events system updates to further enhance your marketing capabilities. If you need to configure multiple events at one time or assign events to multiple locations, it may be easier to upload the events instead of setting them up one at a time manually. Use our simple import process to map the import fields or use the Bullseye Event Import Template. Learn more about how to import events here. Allow users to search events by filtering categories. Assign categories to events within the event management section. This allows users to choose a category for the type of event and find events only within that category. Sometimes companies will have events outside of the locations in their store database. Now you can quickly add a location within the event management section and choose whether or not to make that location available for the store locator search. Learn more about the Quick Add feature here. Click here if you’re interested in learning more about our Event Management Software. Read our newest case study on Mizuno USA’s event registration solution. Take a look at these inspiring tips on how to market your event using social media. 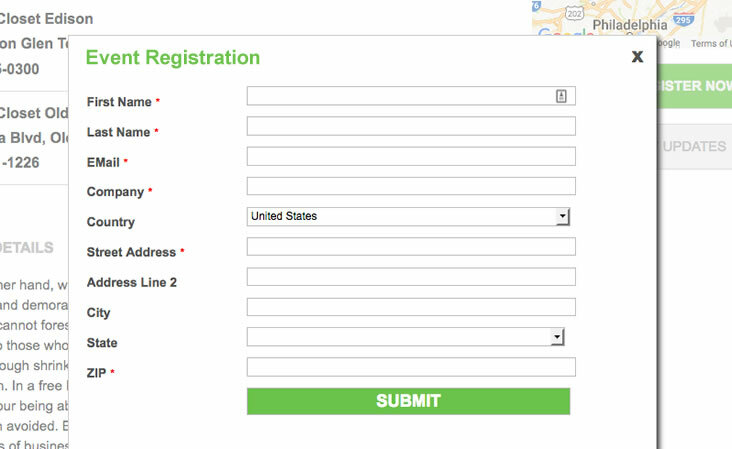 We’ve also recently added the ability to Create Lead Capture Forms.